When fall strikes I immediately want to start a fire in the fire pit. Fall entertaining should be about cozy gatherings with friends and family. It’s also football season and being married to a University of Florida graduate, Gator football is always a reason to have a party. So whether or not your party is a football party or just weekend get together, taking the party outdoors is a great idea. Let’s take a look and some easy, fun, fall entertaining tips for your next gathering. An outdoor fire pit is a great idea for fall entertaining. Not only is it cozy but if you have ever sat around a fire pit and watched the flames it is actually relaxing. 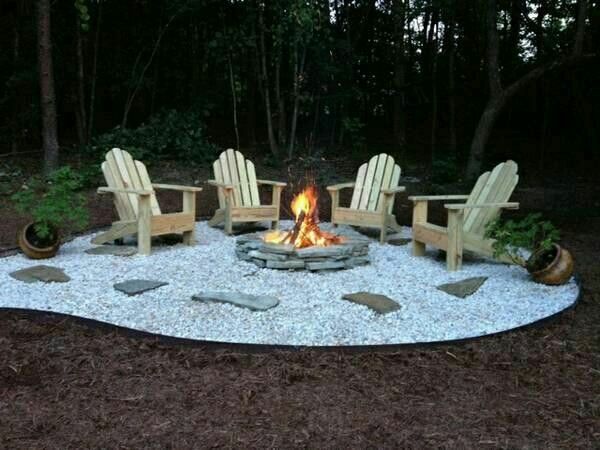 The great thing about fire pit designs is you don’t need a big space to have one. Bioethanol is a great choice because it burns clean which works well in tight spaces. If you have a spacious backyard then the options are numerous. The nice thing is it doesn’t take a lot of money to map out an area with a fire pit and some comfy chairs. A beverage bar is always a good idea for entertaining friends and family. You can get as elaborate as you’d like but really all you need is a refrigerator with ice, a counter with stools and a warm smile. 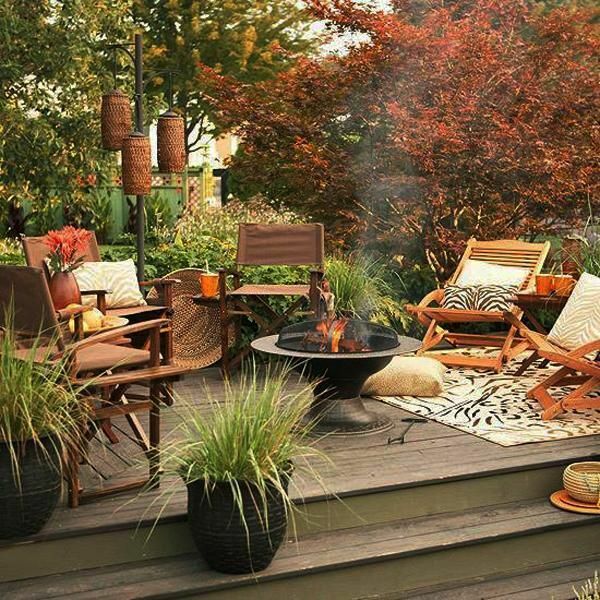 Seating is everything when you are designing your outdoor space for cozy fall entertaining. You want your guest to be able to relax and enjoy their time at your home. Along with comfortable chairs, you might consider having tables or cup holders that will allow them to set their drink down. Lighting your space is important too to add the ambiance and allows your guest to navigate the space safely. Globe string lights are my favorite outdoor lighting to add a visual warmth to the party. Now about that football party, take it outside because fall entertaining should happen outdoors. All you need to rock the fall football party is a big screen and a projector! When the fall season comes around I love to accessorize my interiors and outdoor spaces with colors you would find naturally outside during the season. When fall entertaining I like to have fluffy pillows and blankets placed about offering an invite to my guest to get comfortable. Daymn! That seating picture is so awesome. Having a great outdoor space is just an extension of home. My husband and I love entertaining outdoors and I can’t imagine why everyone doesn’t give some attention to this area.